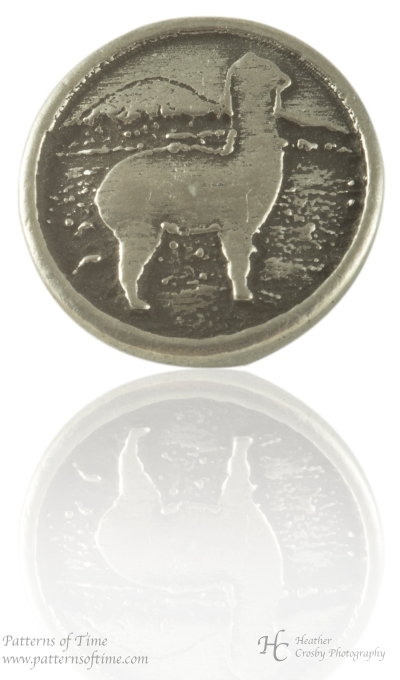 Patterns of Time Alpaca Button - Pewter 3/4" Button - Card of 4, New Products! 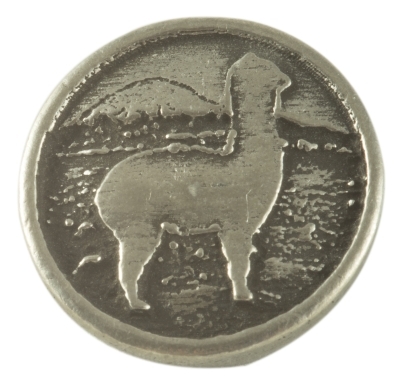 RJ302 - Alpaca Button - Pewter 3/4" Button - Card of 4. Sewn on buttons - Button is attached to garments. using a machine button stitch or hand sewn button stitch. 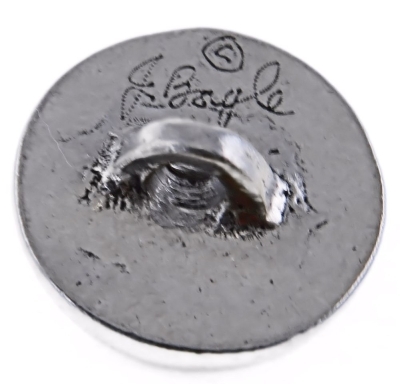 The button has a shank back. 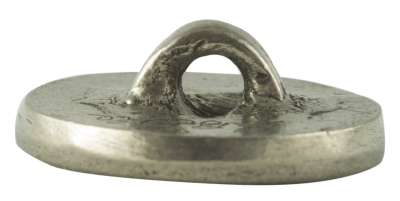 These buttons are hand cast by the artist in solid, lead free, jeweler's pewter. 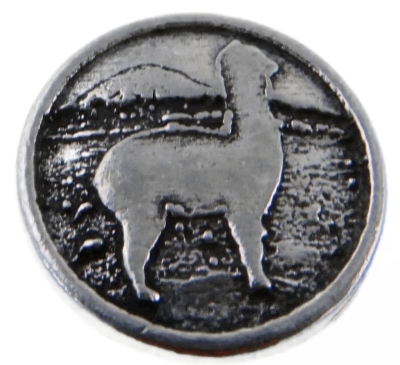 These buttons were The etching is high quality and hand polished.